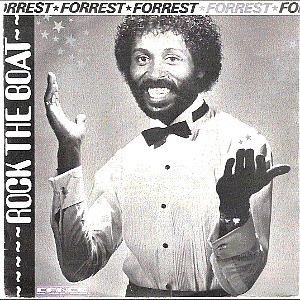 Rock The Boat by Forrest Thomas reached No.4 in the UK singles chart in February 1983. It was originally a hit for Hues Corporation in 1974. The video above features none other than Sinitta, who had a successful solo career during the second half of the 80s with Stock, Aitken and Waterman producing the songs. Forrest was saved from being added to the One Hit Wonders list, though, as he achieved a second hit single with Feel The Need in Me which hit #17 in the UK. That rather embarrassing eighties video features Carol Yates (she's wearing a white top and short blue skirt) who played the older sister of Trisha Yates in the BBC drama series for kids, Grange Hill. 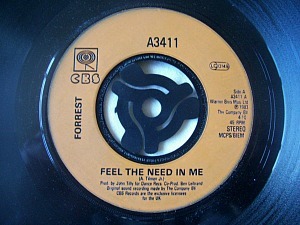 Feel The Need In Me was originally a No.4 hit (in 1972) by the American R&B band Detroit Emeralds.